Formaldehyde, trichloroethylene, xylene — even the names of toxins found in the air sound sinister. But did you know that there's a natural solution to cleaning these harmful contaminants from your home? Here's a simple way to launch an attack: Fill your house with the right houseplants and they'll do the work for you. These 12 are ready to do battle, beautifully. Perhaps you know English ivy (Hedera helix) as a destructive outdoor species that climbs your home and rips off your gutters. But this fast-growing vine with its attractive waxy leaves behaves better indoors. And wow, does it help clear the air. 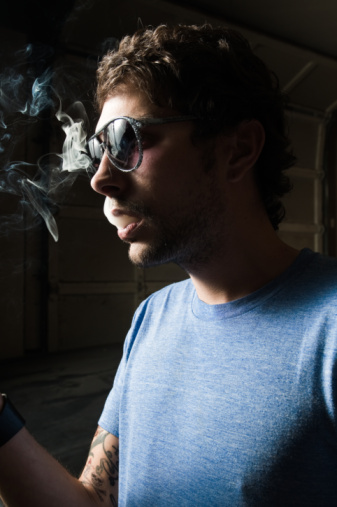 According to scientific testing by NASA, it removes xylene, found in tobacco smoke and car exhaust. It also takes down vast percentages of the airborne mold. 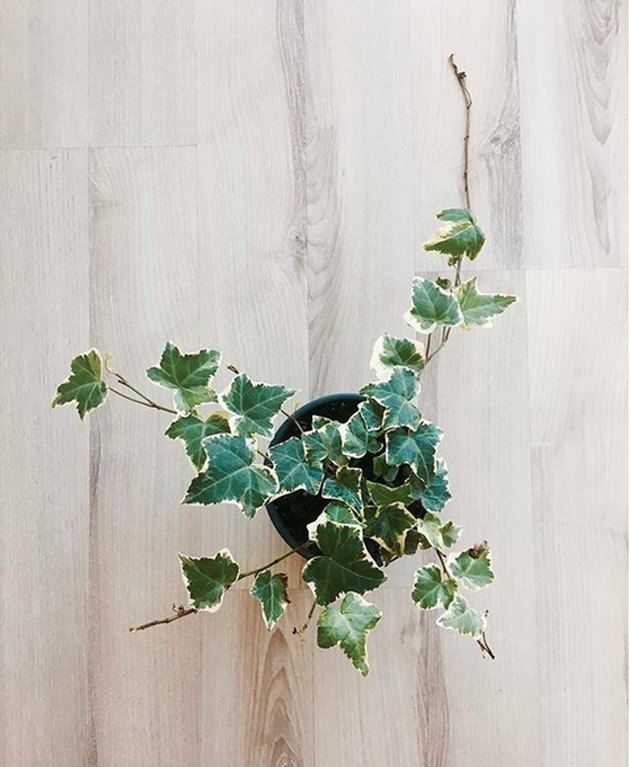 Place your English ivy where it will get some direct sunlight every day. Water it when it gets dry, and offer it an occasional misting. 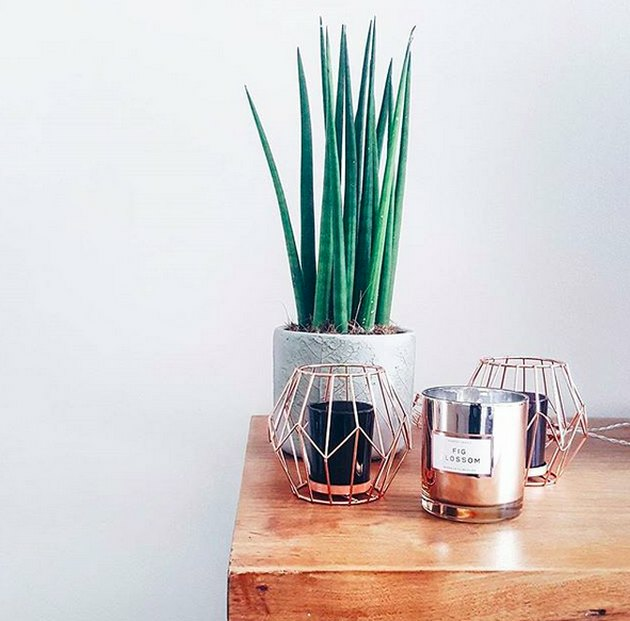 Anyone allergic to common dust needs to get some spider plants in the house. Spider plants (C_hlorophytum comosum_) are those "helicopter" plants with long, trailing skirts of leaves. They grow baby plants at the tip of long, pale, drooping stems. 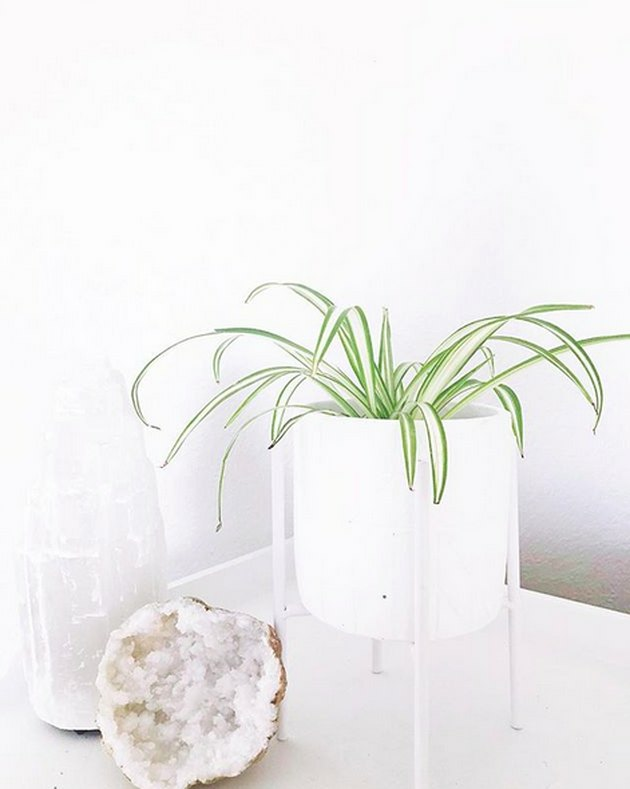 Spider plants are easy to grow, requiring only indirect light and occasional watering, although they are extremely forgiving of neglect. This attractive, fast-growing plant can take out 90 percent of the toxins in your indoor air in just a couple days. The leaves also absorb mold and allergens as well as formaldehyde and carbon monoxide. Bring the tropics into your home with the feathery leaves of the parlor palm (Chamaedorea elegans). As palms go, this one is fairly small at three to four feet, with upright stalks drooping slightly as they rise. 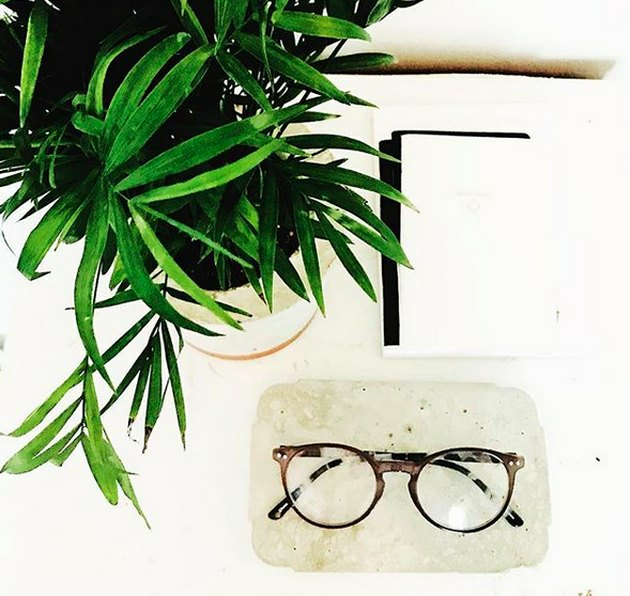 According to NASA, this is a clean-air plant with great air-purifying abilities, clearing out benzene and trichloroethylene. Place it in indirect light and mist it regularly. The peace lily (Spathiphyllum wallisii) is one of the few houseplants to bloom indoors and also one of the few to best the air-scrubbing capability of the English ivy. 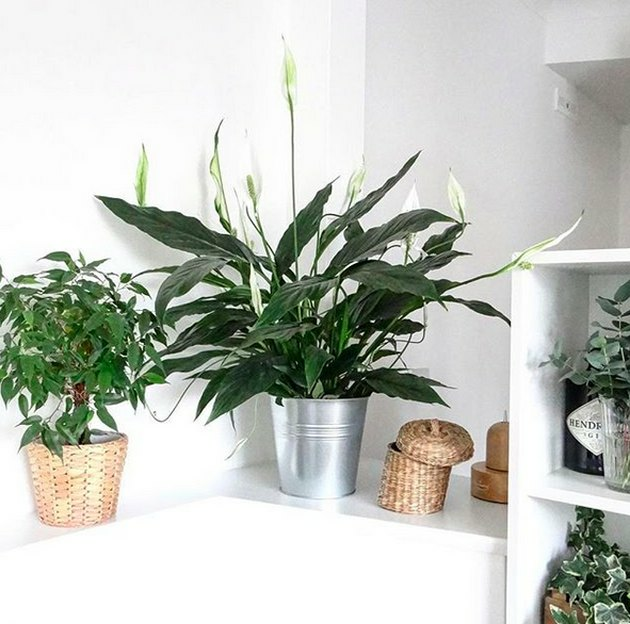 With pure white flowers that look like sea shells and shiny, lush oval leaves, the peace lily brings a summer feeling into your house all year long. One of the best plants for removing formaldehyde, it also removes every substance that English ivy scrubs from the air, plus ammonia, found in fertilizers and window cleaners. All your peace lily asks for is low light and a drink when its leaves droop. Aloe vera (Aloe vera) is an easy-to-grow succulent. Its lightly speckled, spiny leaves are packed with a gel that soothes cuts, scrapes, and sunburns. Aloe doesn't need much to grow happily to two feet tall, just extremely well-draining soil and a sunny location. 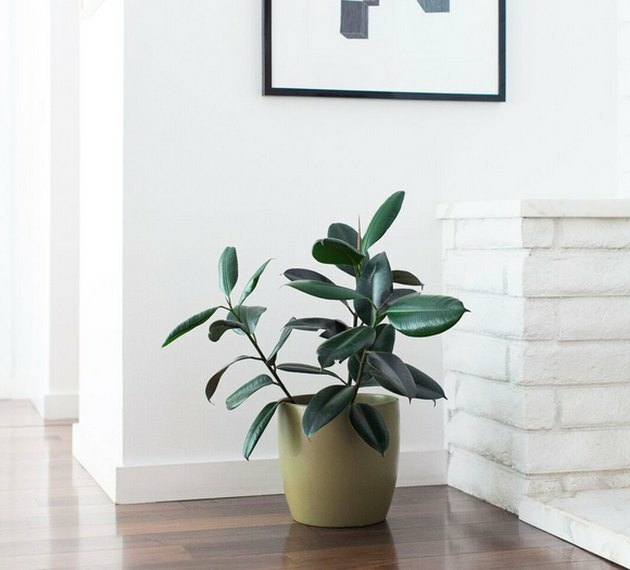 Think of this plant as a machine that monitors your home's air quality. 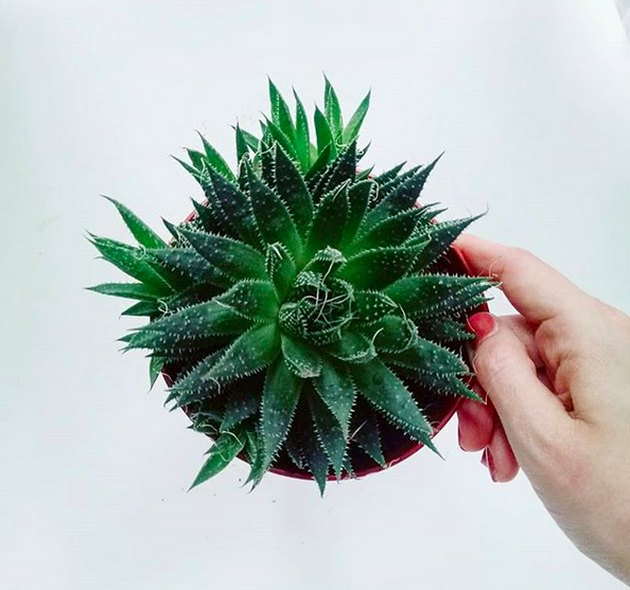 If your air contains harmful chemicals like benzene, the aloe's leaves develop brown spots. The thick, leathery leaves of rubber plants (Ficus elastica) are powerful air purifiers. The plant is almost foolproof, thriving in dry soil and dim lighting. It's also great if you're looking to cultivate a large plant, as it can grow taller than you, and even touch the ceiling. Rubber plants strip the formaldehyde from the atmosphere in your home. 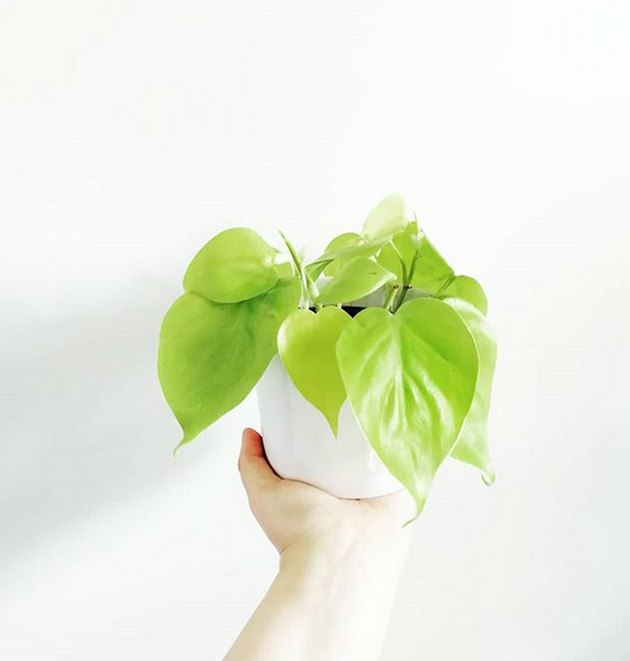 Golden pothos (Epipremnum spp) makes all the lists for good air-cleaners, clearing formaldehyde from the air. It's a joy as a houseplant with yellow-speckled, heart-shaped trailing leaves. This is one tough plant, and its foliage stays green even if the plant gets very little light. 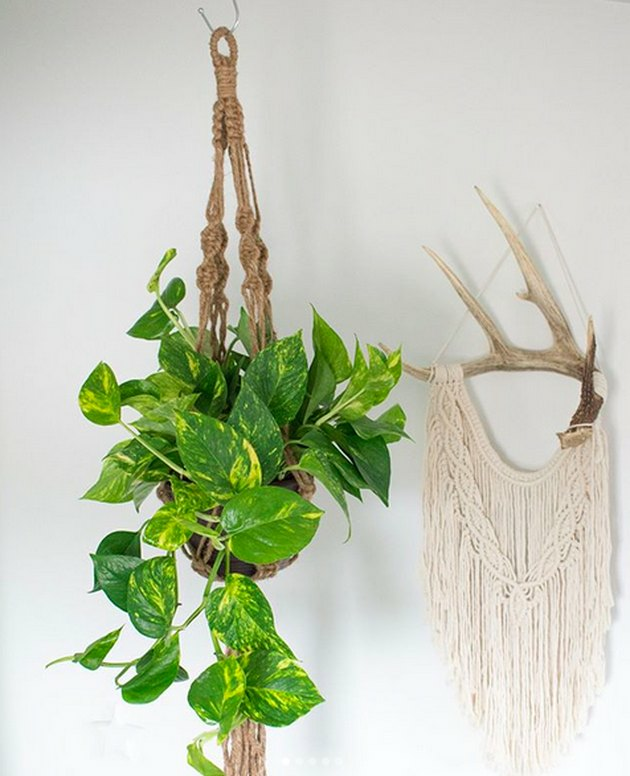 Golden pothos looks a lot like philodendrons, which are also easy to maintain and good at removing formaldehyde. If the idea of an air-cleaning plant that thrives on neglect inspires you, another one to try is snake plant, also called mother-in-law's tongue (Sansevieria trifasciata__). It is an evergreen plant with stiff, knife-life leaves growing vertically from a type of rosette. The spiky leaves are dark green, slightly variegated with yellow, and can grow to four feet tall. It likes moderate or bright light, but otherwise is undemanding. It goes to work at night absorbing carbon dioxide and releasing oxygen. It also scrubs the air of all the major pollutants, including benzene, formaldehyde, trichloroethylene, and xylene. For lovely flowers in lively colors, bring a pot of gerbera daisy (Gerbera jamesonii) into the kitchen. Place the container in a sunny window and enjoy the long-lasting, velvety blooms. 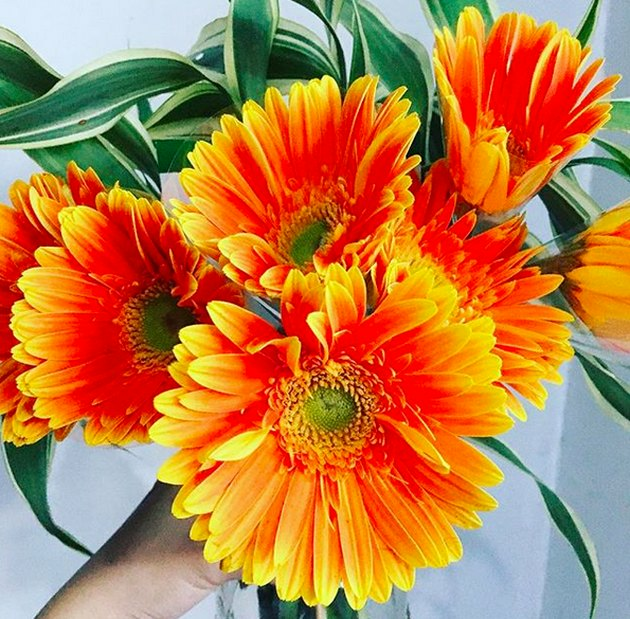 Gerberas will amaze you with how little effort they take to grow. They also work for your health by removing trichloroethylene, formaldehyde, and benzene from tainted indoor air. 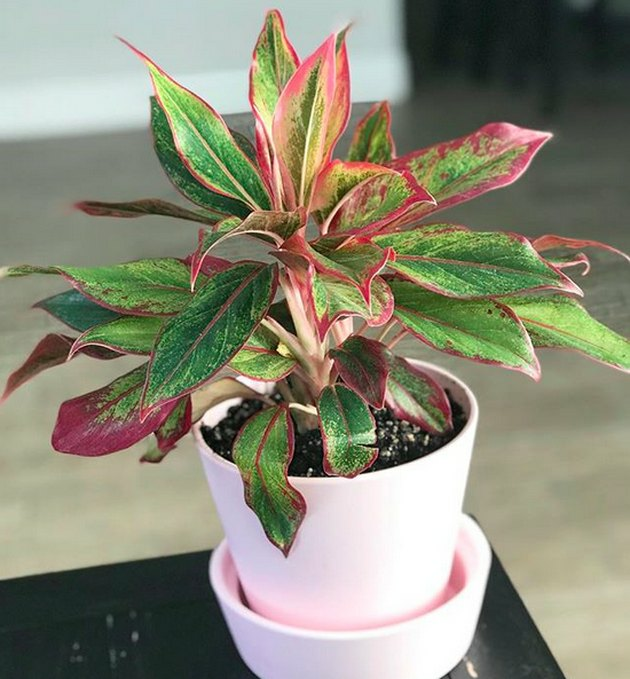 Chinese evergreen (Aglaonema commutatum) is a handsome houseplant with large, variegated leaves (up to two feet long) on short stems. It also cleans tough air, tackling benzene and formaldehyde. It's another low-care houseguest, growing happily in low-light areas. The green fronds of a Boston fern (Nephrolepsis exaltata) arch gracefully from their container. But this popular houseplant doubles as a highly efficient air scrubber. Ferns rule when it comes to removing formaldehyde, stripping more from the air than any other plant and breaking it down in its root system. 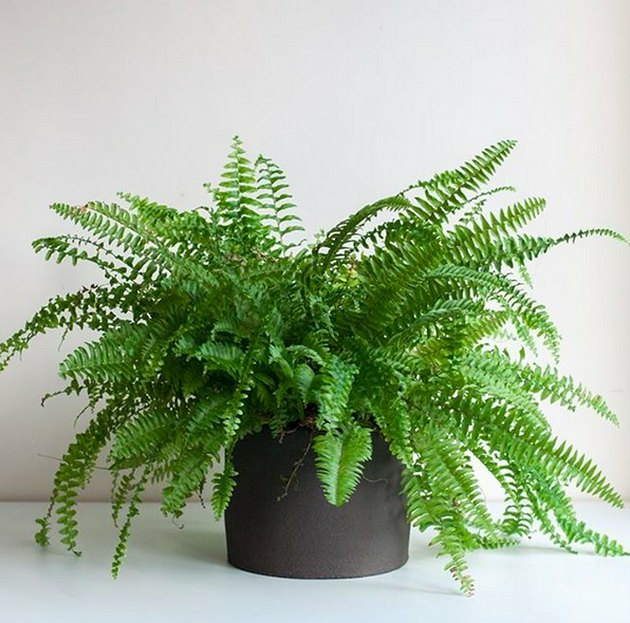 But that's not all: Boston ferns also take out other indoor air pollutants, like gasoline exhaust components benzene and xylene. Give these beauties indirect light, consistently moist soil, and weekly misting. Heart-leaf philodendrons (Philodendron hederaceum var. oxycardium) are vining, green-leafed plants that make gorgeous hanging baskets with the slender stems and valentine-leaves spilling out below. These are tops for removing formaldehyde from the air, a chemical found in paper bags, waxed paper, and paper towels.